Looking for deals in London? Camden Enterprise Hotel is located in a Victorian building dating back to 1865 in the Camden district in London, next to Chalk Farm underground station and a 10-minute walk from Camden Market and... Very clean and well equipped rooms. Excellent bed. Friendly staff and great location. Well recommended. Featuring a garden and views of city, Dorsett City London is a 4-star hotel set in London, an 8-minute walk from Sky Garden. Very modern hotel with well appointed rooms. We had a twin room which provided enough space for two travellers with large suitcases. Great location literally next door to Aldgate station and a 10 minute walk to funky brick lane to the west or regal Tower Bridge to the east. A very pleasant roof top bar was a nice way to end a day. Set in London, within a short walk from Canary Wharf and the DLR network offering direct links to Bank, Lansbury Heritage Hotel features boutique accommodation with complimentary access to a spa... Very helpful and friendly staff. The location is very close to Canary Wharf, about 15 Minutes walk. At Canary Wharf there's a huge shopping mall open 7 days, where you also find many places to eat, also the Underground and DLR-Stations just there. Very handy for us, as we were going to the O2. Only 1 station by Underground from Canary Wharf. Very cool: You get a Android Phone with unlimited data to take during your journey to London. So you have free access to google maps and internet, without worrying about high roaming fees. If you are a female traveller on your own, the walk to/from Canary Wharf to the hotel might be not the most comfortable one, as you have to cross some construction sites and the Poplar DLR Station, which are rather dark and deserted areas at night. Featuring free WiFi and a fitness centre, The Curtain offers accommodation in London, 500 metres from Hoxton Square. Superb staff and a very welcoming and friendly approach which is great to find in a central location. The steam shower was a great addition to the bathroom facilities and 24 hour gym was also a real hit for me as I often find that hotel gyms aren't open when I need them to be! Intercontinental London - The O2 offers accommodation in the Greenwich Peninsula. Guests can enjoy the onsite spa and free WiFi. The staff was extra polite , the acomodations were very comfortable and exceeded our expectations. Occupying levels 34-52, the Shangri-La Hotel at The Shard, London offers 5-star luxury and breathtaking views of the capital and beyond. Customer service was second to none. Situated in the heart of London, citizenM London Bankside is a stylish contemporary hotel, which is just a 2-minute walk from the Tate Modern and only 600 metres from the Millennium Bridge. Baby friendly hotel, also friendly stuff, really good breakfast. Recommend and be back. Set on the Strand, ME London by Melia overlooks the impressive Somerset House. With international fine dining, this elegant hotel offers the STK London restaurant. Amazing hotel, staff, breakfast, location, room was super quiet, outstanding vacation!!! Staybridge Suites London - Stratford are situated in the Westfield Stratford City Shopping Centre. The hotel has great location, nice mall, clean and all what you need is there and more. 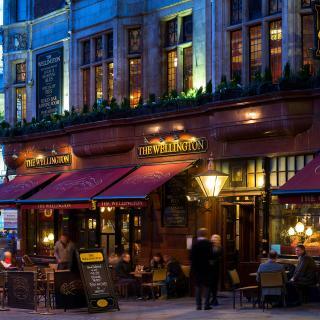 Just off bustling Fleet Street, this luxury hotel is located in London’s historic Temple legal district. The room was really spacious and light and the bed super comfy. This 17th-century inn is located by Kew Green, across from the Royal Botanical Gardens. Enjoy a great location, fine food and good public transport to Central London. great, clean, new rooms, super location! can only recommend! 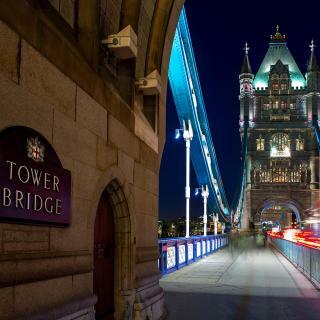 Ideally located in Central London and close to Tower Bridge, The Apex City of London Hotel is a 30-minute taxi ride from London City Airport. I really loved everything about the stay! Located 1.2 km from Olympia Exhibition Centre, Exhibition Court Hotel features accommodation with free WiFi in London. Perfect location which is located at the opposite of Earl’s Court Tube Station Warwick Street exit. The Lion and Key Hotel offers accommodation in Leyton, 1.5 miles from the Olympic Village in Stratford. Free WiFi is available throughout the property. Location was accessible by public transport. Rooms were excellent. Situated in a quiet area next to St Georges Hospital, Pelican London Hotel and Residence features free WiFi throughout. Each room features an en-suite bathroom and a flat-screen TV. 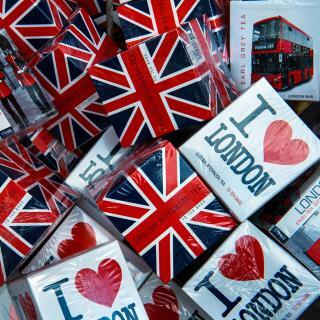 When I come to London here is my home, I recommend everyone for luxury, cleanliness and peace. OYO Epsilon Hotel Stratford is located in the centre of Stratford, within 10 minutes’ walk of its Tube, rail and DLR stations, as well as the Olympic Park and Westfield Shopping Centre. The breakfast offered a variety of food to chose from. The room was very clean and comfortable. In the heart of London’s theatre district, the elegant Haymarket Hotel is surrounded by restaurants, bars, and is just next door to the Theatre Royal. Amazing! This is only one word I wish to say for everything in this Hotel. Offering a restaurant, bar and fitness centre, Ham Yard Hotel is located in London, just 3 minutes' walk from Piccadilly Circus. The decor was brilliant ! Rooms were spacious and comfortable. Situated 5 minutes’ walk from Oxford Street, The Soho Hotel features a fully equipped gym with an on-site personal trainer. Great atmosphere, location, staff, food, drinks and room. Will stay here again for sure! The luxurious Corinthia Hotel is located in one of London’s most prestigious areas, moments from Trafalgar Square and Whitehall. The hotel is so beautiful and the staff is great! So helpful, friendly and proper at the same time. In London's West End, this 5-star luxury hotel is set in a beautifully preserved Victorian building. It boasts a luxurious on-site spa, spacious rooms, and an award-winning brasserie restaurant. Very friendly staff. Room very clean and tidy. 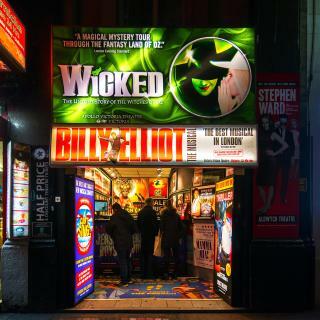 The Henrietta Hotel is located in London, a 2-minute walk from Savoy Theatre, and features free WiFi. This 4-star hotel offers a bar. The location was 10/10! Friendly staff and the restaurant was also exellent! What hotels in London have nice views? Shangri-La Hotel at The Shard, London, Intercontinental London - The O2 and ME London by Melia have received great reviews from travellers in London regarding the views from their hotel rooms. What are the best hotels in London near Gatwick Airport? Travellers who stayed in London near Gatwick Airport (LGW) have said good things about Sofitel London Gatwick, Premier Inn London Gatwick Airport - North Terminal and BLOC Hotel Gatwick. What hotels in London are good for couples? These hotels in London are highly rated by couples: Intercontinental London - The O2, The Montague On The Gardens and The Langham London. What hotels in London offer an especially good breakfast? For hotels in London that serve up a highly-rated breakfast, try Intercontinental London - The O2, The Montague On The Gardens and Apex London Wall Hotel. The average price per night for a 3-star hotel in London this weekend is £208 or, for a 4-star hotel, £315. Looking for something even fancier? 5-star hotels in London for this weekend cost on average around £603 per night (based on Booking.com prices). Which hotels in London are good for families? Many families visiting London loved staying at Charlotte Street Hotel, Firmdale Hotels, Haymarket Hotel, Firmdale Hotels and Batty Langley's. On average, it costs £101 per night to book a 3-star hotel in London for tonight. You'll pay on average around £159 if you choose to stay in a 4-star hotel tonight, while a 5-star hotel in London will cost around £299 (based on Booking.com prices). What are the best hotels to stay in London? Shangri-La Hotel at The Shard, London, Intercontinental London - The O2 and The Montague On The Gardens are some of the popular hotels in London. How much does it cost to stay in a hotel in London? On average, 3-star hotels in London cost £93 per night, and 4-star hotels in London are £158 per night. If you're looking for something really special, a 5-star hotel in London can on average be found for £300 per night (based on Booking.com prices). What is the best neighbourhood to stay in London? Mayfair, Kensington and Chelsea are popular with other travellers visiting London. What are the best hotels in London near O2 Arena? Some of the best hotels in London near O2 Arena include Intercontinental London - The O2, London's Calling and Radisson Blu Edwardian, New Providence Wharf. 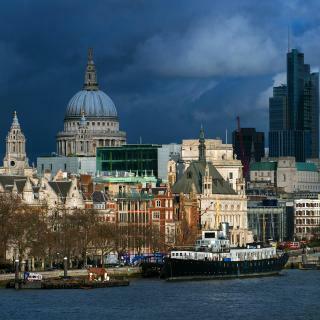 Renowned for its fashion, art and theatre scenes, the majestic city of London needs little introduction. A visit here offers museums of every kind, shopping in ramshackle markets, cutting-edge boutiques and luxury department stores, along with an endless range of international cuisine to enjoy. Admire stunning views from the London Eye, a vast collection of British Museums and the relaxing greenery of the Hyde Park! Home to landmarks such as Buckingham Palace, the stunning Westminster and Wembley Stadium, London has something for every traveller. Make sure you visit fashionable Notting Hill and its colourful Portobello Market, pay a visit to the elegant West End entertainment district and shop till you drop on the famous Oxford Street. The city’s museums and galleries are among the best in the world and so are its restaurants and clubs! The famous London tube connects the city’s many sights and travelling on the Underground is an experience in itself. Whether your London flight arrives at Heathrow airport, the world’s busiest, Gatwick, Stansted or Luton, you’re just a short ride from the heart of the city and its amazing attractions. And don’t worry about the accommodations... Booking.com has a choice of over 1,000 luxury hotels, apartments and budget hostels, so just plan what you want to see and enjoy your perfect London holiday. We usually come to London between Christmas and New Year and it’s lovely but this year was extremely busy so we couldn’t do as much. We gave up on madame tussauds even though we prebooked our tickets as the queues were 3hrs long! Instead we got a cab to Covent Garden where we ambled around listening to street opera and magicians which always make it worth going there. This time we visited a restaurant called Tuttons and only waited 10-15 minutes for a table for five so pretty good. Beautiful carpaccio starter but I chose badly the main course and should have kept it Italian! They make some lovely cocktails which I recommend! Cable cars over the river were a thrill as they’re much higher than we imagined. Our accommodation was the Sunborn Yacht Hotel at Canary Wharf which I’ve reviewed also. Fantastic place to stay instead of a normal hotel and will return for a romantic weekend next time, leaving the rest of the family at home 😆. The only way to travel is by cab as they know everything and you rarely get ripped off especially if it’s a real Londoner driving. River taxis are also a great ride for sightseeing and they certainly do move fast. Of course everywhere you go there is something to see especially when it comes to beautiful architecture through the ages. The new Lego store is awesome!!! All in all a great visit. Working long hours in London means I only had chance to explore during the weekends. Over several weekends me and my girlfriend stayed in various London Accommodation depending on our plans and what was Local. I would recommend staying in more expensive Hostel rooms as a young couple over Hotels. We experienced both and came to the realisation that, if youre willing to pay a bit more for a private en-suite room in a Hostel, if you choose correctly, they can turn out to be nicer than a hotel. One Hostel we would recommend is St James Backpackers. Nearest tube: Earls Court. Easy to get to and the facilities were great, the stairs were a bit of a hike but not an issue if youre able. Very clean double room and about 1/3 of the price of a budget hotel room with Holiday Inn that we had the week before. The best way to get around London is definitely the Tube (goes without saying) the ease of this service is unparalleled. Do not rule out the London bus service also however, your oyster card will work on these as well and they're great for getting around Zones 2-3. Ultimately i would suggest that the best way to see London is to explore every corner. Dont just stay in Zone 1 and do the tourist-y sights. Get out to Brixton or Camden for Nightlife. Visit the more niche museums rather than the swamped Natural History or Tower of London. I would suggest the Imperial War Museum if youre visiting with young teenagers, my little brother loved it. Having visited London on numerous occasions, this was with a difference as I brought my pet dog along with me. Finding dog friendly accommodation at a reasonable price in central London is not an easy task. However, for anyone planning on bringing their doggie with them (small to medium size doggies only), then I can thoroughly recommend the 'Marylebone Inn Hotel' in Gloucester Place. This is probably the most economical dog friendly or otherwise hotel in central London, I paid £50 per night for a double room with ensuite bathroom and toilet and small kitchenette, incredible!. The hotel, which is a Georgian terraced Grade 2 listed building, is clean, comfortable and soundproofed. Superb location for the West End, Marble Arch is just a 10 min walk. All the Royal Parks for walking your dog are within easy walking distance, Regents Park is just a step away. There is a bus stop directly outside the hotel, service 82 from Victoria railway Station. Plenty of local cafes and restaurants close by catering for all tastes. You could do no better. I work in London, but don't often stay up. So the chance for a lay in and no rush to get up and come in by train - was a welcome change. We'd partied the night before with friends at Be At One - Covent Garden (great 80's playlist). We then stumbled into Bills and had sticky Ribs - Yum! The walk back to Russell Square wasn't too far and we knew it would be a good location for our planned lazy day in London, the following day. I love Grand Old Hotels and we stayed at the Russell Hotel in a budget room. Not very large, but no London Room is - unless you have money to burn! We had a good breakfast and dropped our bags with Concierge - before heading for a morning in the British Museum. After a few hours wondering around (the clock room is awesome) we then headed to Scoff & Banter in Monmouth Street for lunch with friends. After a long and relaxed lunch - we became proper tourists and wandered with the crowds around Covent Garden. Finally we wandered back to the hotel, picked up our cases and jumped on the tube at Russell Square. Dinner was grabbed at Le Pain Quotidian at St. Pancras Station, before jumping on a late train - home. London for animal, food and gin lovers! Here's our awesome weekend itinerary for two days of animals, tea, cakes, gin, pie, more animals and curry. SATURDAY 9am arrive in Kings Cross station, 30m tube to... 9:30am Check in to Grange Strathmore Hotel (cheapest 4-star I could find in Kensington, £82 for twin room, room-only), leave luggage, 5 minute walk to... 10am Natural History Museum, 2hrs looking at dinosaurs, animals etc. for free, 1hr tube/train to... 1:30pm High Tea at Lady Dinah's Cat Emporium (£35pp, book in advance), 1.5hrs petting cats and eating as many sandwiches, scones and cake as you can (it's all refillable), 1hr tube/train back to... Hotel for an afternoon nap (there were lots of scones!). 30m tube to... 7pm Gin Tasting Menu and dinner at The London Gin Club (£32pp for 3 G&Ts, pie and chips), 200 gins to choose from, 30m tube back to... Hotel. SUNDAY 10am check out of hotel, leave luggage for the day, 30m tube to... 10:30am breakfast at Bills (Soho), £18 big cooked breakfast, 30m tube to... 1pm London Zoo (£20pp, 2for1 voucher with train ticket), fun day with penguins, monkeys etc., 30m tube back to... Hotel, collect luggage, 30m tube to... 5:30pm Dishoom (Kings Cross), awesome curry and drinks, £40pp for several curries, breads, rice, desert, chai etc., 5m journey to... 8:15pm Kings Cross, train home and... Sleep. A whirl wind visit at a wonderful time of year. I'm no stranger to London. It's a city I utterly adore. This trip however was only a one day/ night stopover. We arrived very early (6.30) in the morning & I always book the hotel for the night before so we were in our hotel room by 8.30am. We stayed this time at The Sumber Hotel in Mayfair. A very sweet little boutique hotel a block from Marble Arch & Oxford Street. Great location as we got all our shopping done on one street (that was the plan from the beginning) It's Christmas, so the winter sky is dark but the streets are dazzling in festive decorations & fairy lights that keep the mood bright. Bustling crowds & busy shops are to be expected. I love the vibe of London any time of year, but Christmas time in London is one of my favourite times to be there. Cheap and good location for access to wembley stadium area(5 mins), heathrow airport(30 mins. Free parking. .All you can eat cooked breakfast. Take aways and shop accross road. Other eating and drinking places 5 mins away. Drinks in hotel low prices. Good for workmen who are working with 30 mins of area. Or a low cost stopover places with parking then access train to london. ( scroll down room choices ,i got en suite room same price has shared bathroom rooms. Train station a few mins sway(4 to 5 pound by uber). What we liked about this hotel far outweighs what we didn't. The hotel staff was so friendly and helpful. The hotel was very clean and tidy, and the price was also good. With that being said, the price of hotels in London equals convenience or lack thereof. You get what you pay for. The hotel offered an amazing breakfast. The selection was good and kept us satisfied until dinner. The hotel was about a 10 minute, average paced walk from Waterloo station so that was convenient. Every aspect of our stay was 5 star. Amazing room, superb professional staff who are slick and smiley. Special mentions for Dan in the chambers club, Jeffrey in the booking office restaurant, and Jack our super doorman who also provided us with a vip check in to Eurostar from hotel to train seat. We have stayed at many a high end London hotel but I have to say The Renaissance tips the lot by a long way. We have found our new London home! Already planning a return. The location is very convenient and both closed to notting hill station and queensway. Very close to nice restaurants in the area. Ahmed the receptionist went beyond expectations and he took very good care of us, he was very helpful. In terms of hotel facilities you get what you paid for, but the size of the rooms in comparison with other hotels in London it was ok. Very good value for money. Excellent location, close to main attractions. Only 5 minute walk from South Kensington tube station (Piccadilly/Circle/District lines). Rooms larger than most hotels of this price range in London. Small but functional bathroom. Good internet connection. I wish it were available all year long! I was working on London for the day so travelled up the night before. Hspoily surprised at how cheap the cost for one night stay at Pembury - considering the prices of other hotels in the area London prices in the area. Hotel was clean and convenient and the staff were lovely! It's a very confortable room. The localization is amazing, very close to three different tube stations (Kings Cross, Euston and Russel Square). I had lost hope about cheaper hotels in Central London, but this one is REALLY good. Great staff as well. It was very cheap, yet quite comfortable, more so than many cheap hotels in London. The location makes it fairly accessible for walking into London, or the tube station is a short stroll away. Staff are friendly and it is very secure. It’s one of the nicer hotels I’ve stayed in in London and it brilliant value for money, it was modern, clean and very comfortable. We go the cheapest room but was still quite large with a decent bathroom. Clean, modern and comfortable, within walking distance for most Central London attractions. Although not cheap, seems a fair price compared to other hotels. Although not cheap. This is one of the best value hotels in London. Great rooms, bars and the Chinese restaurant is very good. Price is cheap compare with other London central hotels. Location is good.